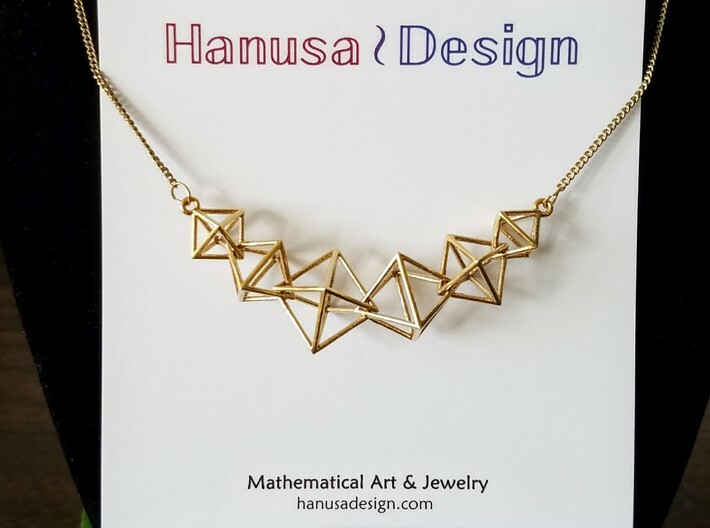 We have created a dazzling geometric necklace that features six interlocking octahedra. 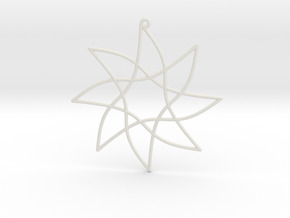 An octahedron is one of the five Platonic Solids, and is the partner to the cube (its dual polyhedron). Just as the cube has six faces and eight corners, the octahedron has eight faces and six corners. 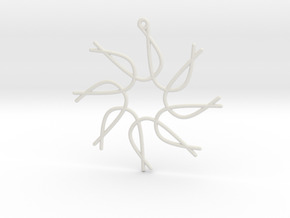 This revolutionary technique for 3D printed metal jewelry allows for such a complex design to be possible without the need for metalwork assembly. 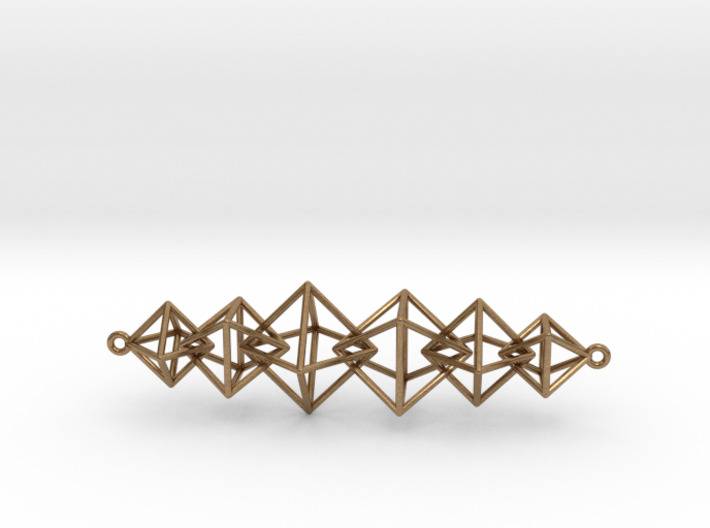 This product is a bar pendant consisting of all six interlocking octahedra. 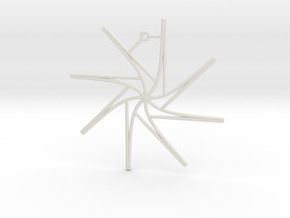 It does not come with a chain so some assembly is necessary on your part upon arrival. 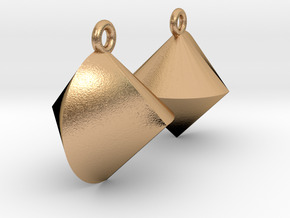 Pairs perfectly with our Dangling Cubes Earrings.